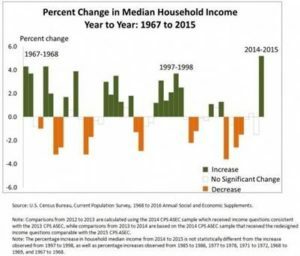 Last week, the U.S. Census Bureau released a report showing that incomes increased for middle- and low-income families in 2015—the biggest increase in decades since the agency began tracking this measure in 1968. According to the report, real median household income was $56,500 in 2015, up from $53,700 in 2014, an increase of 5.2 percent. 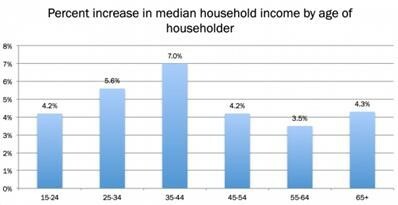 The increases were seen in households on all ends of the economic spectrum, but the biggest raises were for families led by those in the 35 to 44 age range. While this is good news for workers in cities that saw an income increase of 7.3 percent, median incomes did not grow significantly in rural areas. 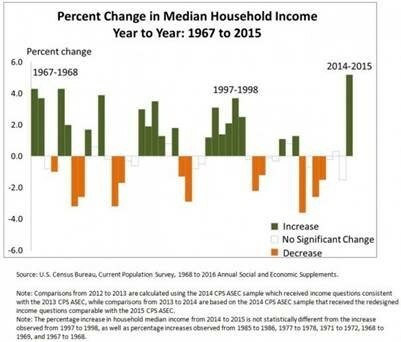 In addition, the South had weaker income growth than the West. A new report from the Center for Economic and Policy Research (CEPR) finds that black workers who are members of a union have higher wages and better access to health and retirement benefits than nonunion black workers. The report, titled “Black Workers, Unions, and Inequality,” shows that black union members are more likely than workers of any other race to be members of a union and, on average, earn wages that are 16 percent higher than similar nonunion black workers. According to the report, black immigrants are more likely than native born black workers to be unionized, and the wages for black union workers in low-wage jobs are 18 percent higher than their nonunion peers. A full copy of the CEPR report can be found here.